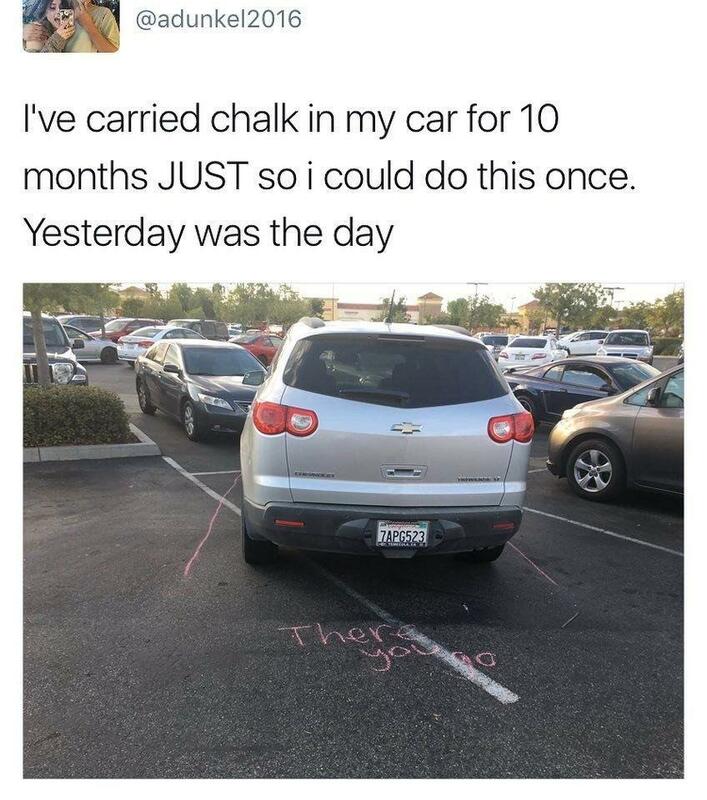 Like who would park he's a stupid guy.He drew with chalk on the road. this guy is bad at parking. seriously bad. he parks like hes the prime minister of this city. He can't park, and also, he raped my pet penguin.